Today, Ms. Chieng excels as the site director for Merial, an animal health company that provides pharmaceutical drugs, biological vaccines and other wellness products designed to support the wellness of animals. In her role, she demonstrates an expertise in the management of all areas of operations, the site and sales. She is highly regarded for her top skills in quality control, strategic planning, product development, business strategy and pharmaceutical development. 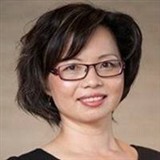 By showcasing a well-rounded breadth of knowledge and ability, Ms. Chieng has led major projects within the organization over the last eight years. Her most noteworthy involvement has been in the manufacturing and operation of regional distribution centers across New Zealand. In addition, she handles facility management, supply chain, procurement and quality assurance for markets in New Zealand, Australia, Latin America, South Africa and Asia. Click here to read Amy Chieng’s newsletter!